2016 Minutes – Appalachian Construction Crew, Inc.
3. The minutes of the meetings held on 13 July 2017, were approved. Crew has about $86,000 in reserves. for the week prior to the offering. (5) Donations & Misc. : $16,000. B. VA Connection (Bob Corsi): Bob supports a donation of at least $5,000 for the repair of St. Joe’s Inn roof. deployment photo disc for selecting photos for the website. D Colorado (CO) Connection (Corey Cinabro): No new developments. Chapel on Sun, 18 Feb 18.
present to the Good Shepherd Chapel Parish Council in Sep 17.
running from 1 Jan 18 to 31 Dec 19. A. Adopt-A-Road on 25th Street: Trash pick up was ser for 9 AM, Sat, 30 Sep 17. Waterpik EcoFlow showerheads for the Men’s and Women’s baths next May. leaks. The Board approved a $10,000 donation toward the roof repair. at 9803 S. 21st Circle. 3. The minutes of the meeting held on 10 Feb and 14 Apr 15, were approved. 2 May 15. 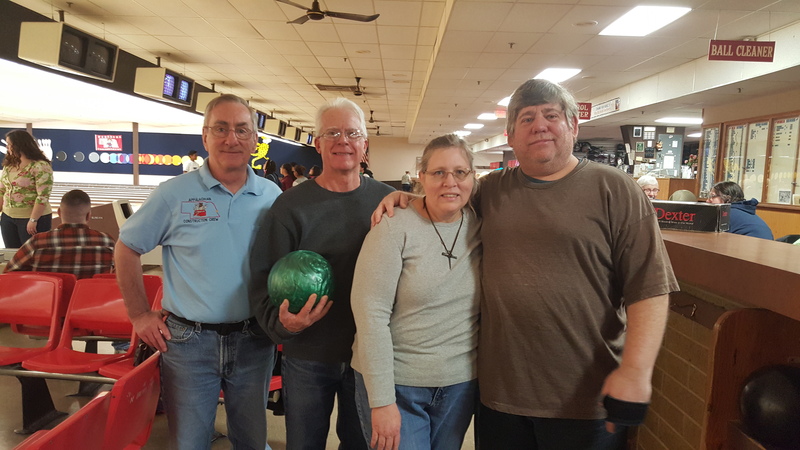 Total is the 2nd highest received from VA.
Bellevue Knights of Columbus, the total revenue climbed to record amount of $3,081. Apr 15. The Secretary submitted a thank you notice for the parish bulletin. directly to the Crew where a 100% of the donations would go to our cause. F. Volunteer Recruitment in Bellevue: No new developments. Thurs night BBQ. The President is still looking for the white over-the-stove microwave. have been completed on this item. I. Insurance Waiver to Offutt AFB: Request was submitted on 25 Feb 15, but no word has been received back yet. complete his term thru 31 Dec 15. Apr 15, which the Good Shepherd Chapel Treasurer Kay Morrow reported received on 22 Apr 15. County and built St. Joe’s Inn. PM, Tues, 14 Jul 15, at 9803 S. 21st Circle. The Meeting was opened by President Vicki Edwards at 7:30 PM, at 9803 S. 21st Circle, Bellevue, NE. With 4 of 5 directors present, a quorum of the Board did exist. The minutes of the meeting held on 10 November 2016, were approved. Treasurer’s Report: Treasurer Janelle Smith provided the following status: Great Western Checking Account: $44,743.03; Fidelity Money Market Account: $24,230.71. Cans for 2 X 4’s: No new developments. Dinner Raffle, 17 Nov 16: A total of 222 tickets have been sold and $1,.110 was collected. Fifteen people attended the drawing/dinner at 6 PM on Thurs, 17 Nov 16, at the Papillion Pizza Ranch. 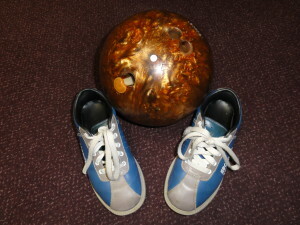 Bowl-a-thon: Set a tentative date of 11 Mar 17 (1:30 PM) at Leopard Lanes. Ron will ask Sharon to make lane reservations. Combined Federal Campaign: Results to be known in Mar 17. 2017 Financial Plan: The Crew is now raised 5.0 % of the 2017 Fundraising Goal of $75,000. Offutt Air Show, 1-2 Jul 17: Per a Omaha World Herald article of 8 Dec 16, 55th Wing Commander has cancelled the Air Show with the Blue Angels. The 2018 Air Show is uncertain due to runway repairs. Update of Membership Roster: No changes made. Combined Federal Campaign of Indiana, Kentucky and Southwest Ohio: The Secretary’s search for a CPA to review the Crew‘s 2016 Financial Statement has now reached 5 accountants. The Secretary will try to set up meeting with Rod Anderson of Massimore, Magnuson & Associates, recommended by Brian Donohoe, for Friday, 16 Dec 16. Latest CFC info indicates the 2017 application will be submitted totally online during a period starting sometime in Dec 16 to sometime in Jan 17. The Secretary requested help in uploading some of the documents required for the application. The Secretary provided the Treasurer with 2016 IRS Form 990, which is part of the application. VA Connection (Bob Corsi): No new developments. Crew Website ( http://www.accrew.org ): According to President Vicki Edwards, data uploading problems have be resolved with the help of Sarah Edwards. Colorado (CO) Connection (Gary Piper): No new developments. Volunteer Recruitment in Bellevue: The Secretary still needs coordinate with the Confirmation Class Teacher on the Pancake Breakfast set for Sun, 19 Feb 17. 2017 Deployment (work starts on Thurs, 1 Jun 17): The Construction Director sent revised the 2017 drawings for the Yancey home to the Crew Leaders with front porch gable roof design on 5 Dec 16. The Material List and the subcontractor work descriptions have also been reworked. Kathi Narlock has purchased the over-the-stove microwave for the 2017 home. Kathi will be requested to provide the receipt for the microwave to get reimbursed. Annual Report to Donors, Jan 17: The Secretary had 75 copies of the report printed at the UPS Store for $13.08. The Crew Meeting was adjourned at 7:46 PM and the next Board Meeting was set for 7:00 PM, Thursday, 12 Jan 17, at 9803 S. 21st Circle. The Meeting was opened by President Vicki Edwards at 7:00 PM, at 9803 S. 21st Circle, Bellevue, NE. With 3 of 5 directors present, a quorum of the Board did exist. The minutes of the meeting held on 13 October 2016, were approved. Cans for 2 X 4’s: One attendee brought cans. Dinner Raffle (Oct-Nov 16): A total of 224 tickets are now distributed. So far, 162 tickets have been sold and $810 was collected. The Secretary will request Finance Director Ron Strawn to make reservations for about 20 people who will be attending the drawing/dinner at 6 PM on Thurs, 17 Nov 16, at the Papillion Pizza Ranch. Church of the Nativity, Burke, VA Offering: Bob Corsi indicated that the offering would be on the weekend of 14-15 Jan 17. 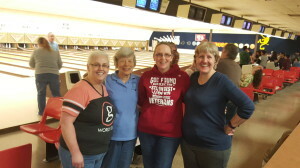 Bowl-a-thon: To be scheduled in Mar 17. 2017 Financial Plan: The Crew is now raised 3.4 % of the 2017 Fundraising Goal of $75,000. Combined Federal Campaign of Indiana, Kentucky and Southwest Ohio: The Secretary continues a search for a CPA to review the Crew‘s 2016 Financial Statement for the 2017 CFC application. The best ball park estimate for the review, to date, is $2,500 from Marc Lowe of Jones & Lowe. To obtain a more accurate estimate, Marc requested that the Crew provide our Financial Balance Sheets for 2015 and 2016 (to date) and copy of our last IRS Form 990-EZ. The Secretary requested the Treasurer to gather these documents. Bob Corsi of VA suggested that we find a local Knight who is a CPA to do the review. Vice-President Marcel Moreau forwarded an email request his local Knights of Columbus council to find a Knight/CPA for the review. Based on CFC guidance just received, Secretary indicated that the upfront application/listing fees for the 2017 will be $360. VA Connection (Bob Corsi): Bob sent a $100 donation and $150 Lowe‘s gift card from his retirement ceremony. Crew Website ( http://www.accrew.org ): Kathi Narlock and Kris Woods are to meet on Sun, 13 Nov 16, to resolve data input difficulties with the website. 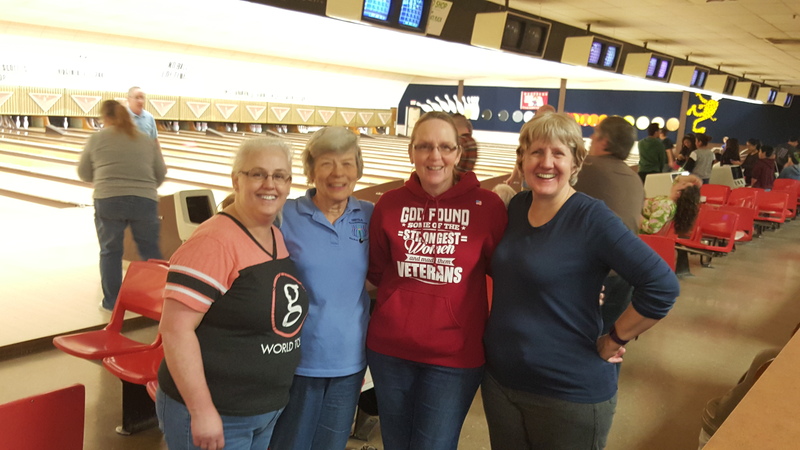 Volunteer Recruitment in Bellevue: Peggy Hoffman, the Offutt AFB Catholic Chapel CCD Coordinator, indicated that the Offutt Catholic Chapel Confirmation Class will help with a Pancake Breakfast on Sun, 19 Feb 17. 2017 Deployment (work starts on Thurs, 1 Jun 17): The Construction Director has revised the 2017 drawings and has almost completed the material list for the front porch gable roof design used in recent past years. Annual Report to Donors, Jan 17: The Secretary’s draft was reviewed and 75 copies will be obtained from UPS. The Crew Meeting was adjourned at 7:40 PM and the next Board Meeting was set for 7:30 PM, Thursday, 8 Dec 16, at 9803 S. 21st Circle. 3. The minutes of the meeting held on 8 September 2016, were approved. distributed to those present. The Secretary has yet to find a local store which will allow the selling of the raffle tickets. C. Church of the Nativity, Burke, VA Offering: To be scheduled for Jan 17. D. Bowl-a-thon: To be scheduled in Mar 17. E. Offutt Catholic Chapel Offering: Set for Sun, 8 Jan 17, per Chapel Accountant Mary Burden on 27 Sep 16. F. Combined Federal Campaign: Results to be known in Mar 17. G. 2017 Financial Plan: The Crew is now at 2.6 % of the 2017 Fundraising Goal of $75,000. A. Update of Membership Roster: No changes made. application rules which will hopefully define the required CPA review of 2016 accounting books. Corey. Previous volunteers Jim Magill and Beth Collins are considering coming. interested in helping with a Pancake Breakfast on Sun, 19 Feb 17.
and material list back to the front porch gable roof used in recent past years. The Good Shepard Chapel has selected the Scotty and Tabetha Corder Family of Sterns Kentucky as our Family. The family has two sons, Harley, 17 and Dustin,4. Scotty works only part time as a janitor at the Outdoor Venture Corporation (tent factory) due to a neck injury from a care accident. Three members of the Good Shepard Chapel Parrish Council sent a letter endorsing the Corder Family. Update: the Family was living in a 24 year old trailer. 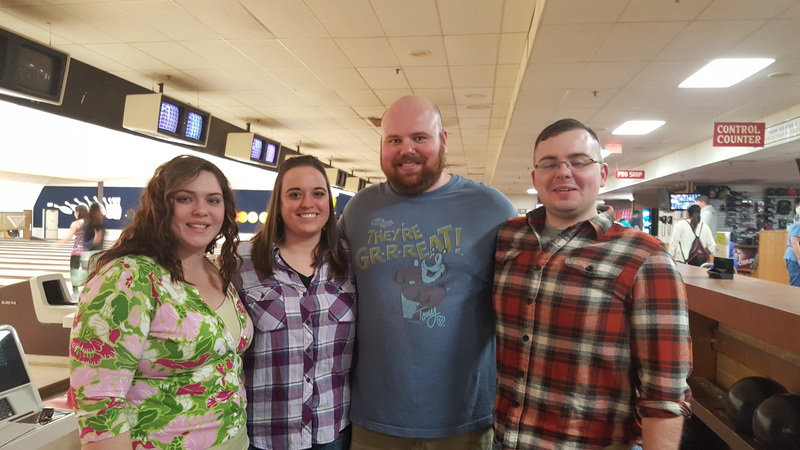 Scotty and Tabitha adopt and foster children. The existing trailer was moved from the site and the family moved to an apartment as the site was readied for construction. The ACC descended on the site Friday 5 June 15. 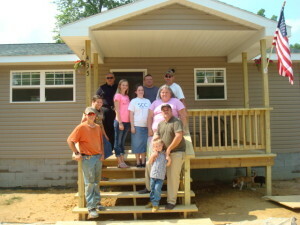 27 members worked hard to make this site a wonderful home for the Corder family. Most of the crew left St Joseph’s Inn on 10 June 15. The finishing crew stayed for another week to finish the interior. See the photo’s posted to see the progress that was made along the way. The Family moved in on 19 June 15. 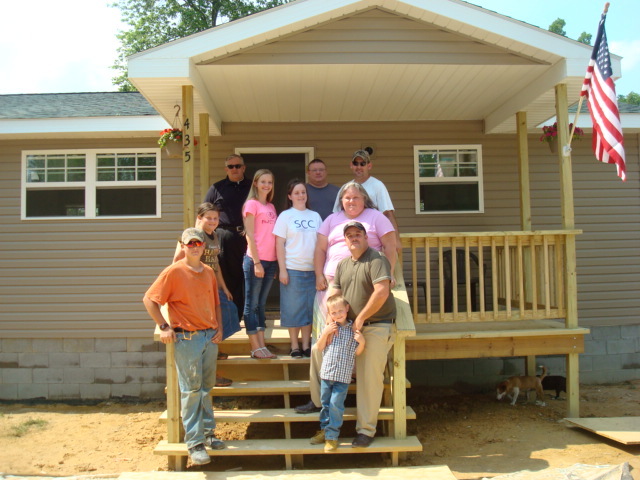 Congratulations to the Corder Family on their new home. The Appalachian Construction Crew kicked off its annual raffle with a bit of a change. This year with a $5 donation, you had a chance to win gift certificates for dinner at Old Chicago and a movie at AKSARBEN Cinema. The drawing was held at 6 PM, on Wed, 19 Nov 14, at Old Chicago Papillion. Thank you to all that purchase tickets! !